A hard-hitting, tour de force tale of the mob and the man who makes sure their rules are the only rules, by the American master of crime George V. Higgins. Jackie Cogan is an enforcer, and when the mob’s rules get broken, Cogan is called in to take care of business. This time a high-stakes card game has been held up by an unknown gang of thugs. Calculating, ruthless, businesslike, and with a shrewd sense of other people’s weaknesses, Cogan plies his trade, moving among a variety of hoods, hangers-on, and big-timers, tracking those responsible, and returning “law and order” to the lawless Boston underworld. 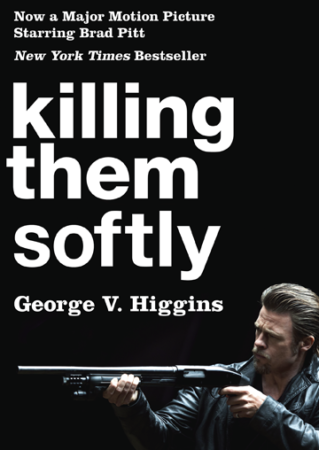 Combining remarkable wit, crackling dialogue, and a singular ability to show criminal life as it is lived, George V. Higgins builds an incredible story of crime to an unforgettable climax. George V. Higgins was the author of more than 20 novels, including the bestsellers The Friends of Eddie Coyle, Cogan’s Trade, and The Digger’s Game. He was a reporter for the Providence Journal and the Associated Press before obtaining a law degree from Boston College Law School in 1967. He was an assistant attorney general and then an assistant United States attorney in Boston from 1969 to 1973. He later taught creative writing at Boston University. He died in 1999. First published by Alfred A. Knopf in 1974.